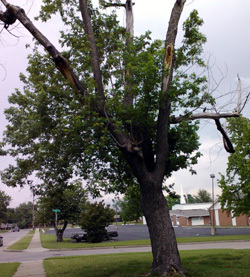 Trees can suffer irreparable damage from storms, winds and construction projects. They get knocked around severely when there’s construction going on outside the house. 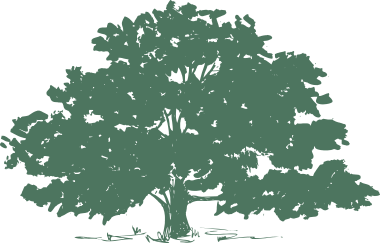 Whether it’s broken branches, trunk wounds, the compressing of the soil around the tree, or the addition of dirt to the area, the effects of these problems can be devastating to the life of a tree. Physical damage to a tree, whether the result of construction activities, aging or Mother Nature, can affect the tree’s stability, structure and lifetime. 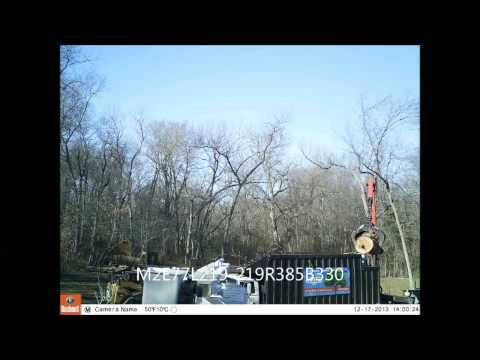 Hire an ISA-certified arborist like Todd Rickert before the storms come, before you start a construction project and before the tree shows any hint of decline. This is the best way to protect your investment and property. Except for the effects of the storm, is the tree otherwise healthy? Does the tree still have most of its major limbs? Has the main stem or trunk of the tree survived? How about the leafy canopy over the tree — is at least 50 percent of it still there and intact? Are there major ‘wounds’ in the tree? How large are they? Does it appear that the tree’s remaining branches can continue to thrive and even produce a new branch structure? Do you want to keep the tree for sentimental, historical or shade reasons? Don’t ignore the obvious … Prepare in advance for severe weather or construction activities near trees.